Looking for a Holiday Gift for your wargaming pal? 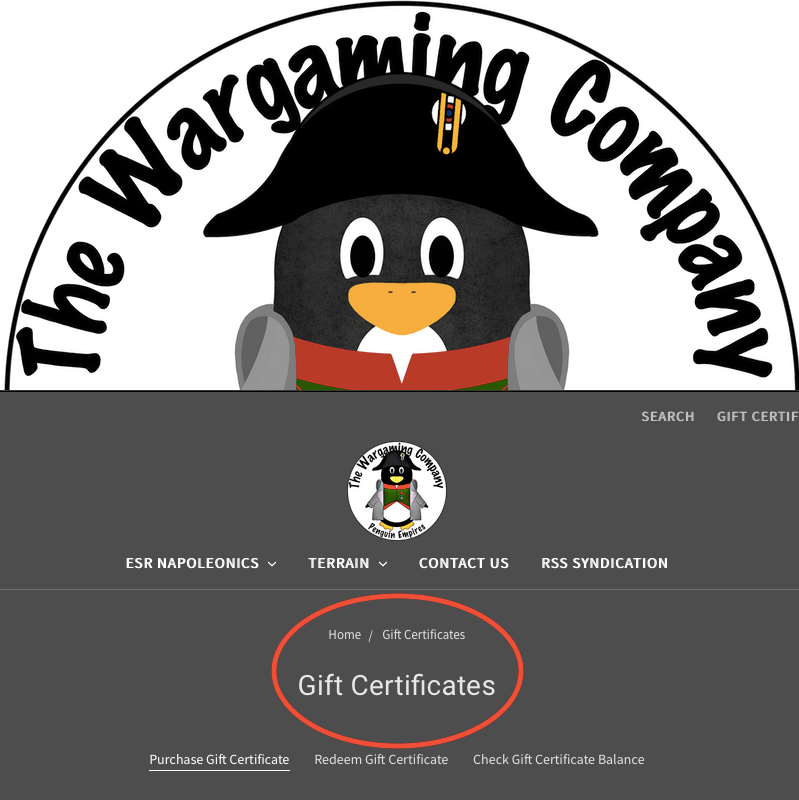 How about a Gift Certificate from The Wargaming Company? This entry was posted on Friday, December 7th, 2018 at 17:06 and is filed under News. You can follow any responses to this entry through the RSS 2.0 feed. You can skip to the end and leave a response. Pinging is currently not allowed.